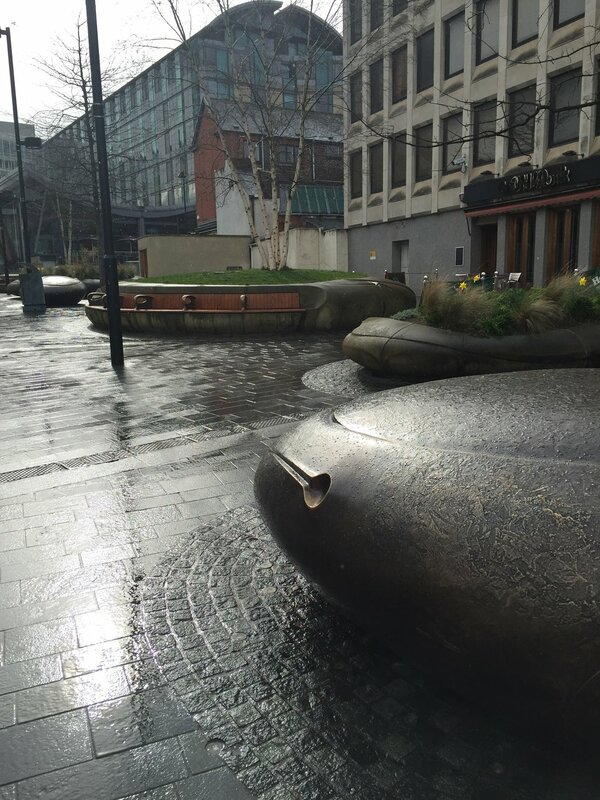 Broadbent were commissioned by Sheffield City Council to work with their in-house landscape architecture team to influence the public realm design of Tudor Square, the cultural heart of Sheffield. Sculptural planters and seating units were designed, influenced by the City’s industrial heritage and it’s remarkable natural landscape. The designs took on the natural forms of pebbles and boulders with distinctive carved markings and feature lines with tactile points of detail. 1:10 scale maquettes of the sculptures were produced and then a combination of 3D laser scanning, surfacing and digital modelling was used to scale up the maquettes and create a set of files, from which a 6-axis robot could mill the full-size sculptures in local stone by Johnson Wellfield Quarries. 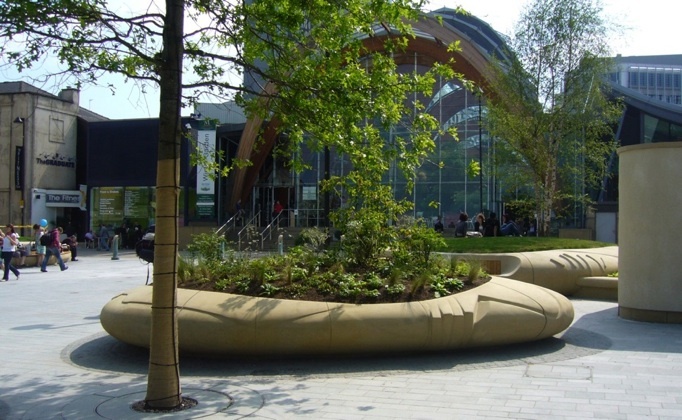 Broadbent also produced informal sculptural seats in the form of bronze pebbles cast in Sheffield, and bespoke seating sections for four of the large sculptural planters.